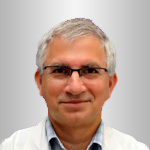 Prof. Ofer Nativ is graduate of Faculta de Medicina e Chirurgia, Universita de Milano, Italy. Obtained Special training in Urology Surgery in several leading hospital around the world. Specializes in complex bladder, prostate and kidney cancer. Since 1999: Associated Professor, Technion Institute of Technology, Faculty of Medicine. 1994-1999: Senior lecturer, Technion Institute of Technology, Faculty of Medicine. 1992-1996: Senior lecturer, Tel-Aviv University, Sackler School of Medicine, Dept. of surgery, section of Urology. 1983-1992: Instructor, Tel-Aviv University, Sackler School of Medicine, Department of surgery, Section of Urology. 1973-1976: Medical studies: Faculta de Medicina e Chirurgia, Universita de Milano, Italy. 1968-1979: (supervisors - Prof. C. Servadio, Dr. E. Mukamel). 1979-1980: Rotating internship, Hasharon Hospital, Petah-Tiqva. 1982-1984: Rotating residency, Dept. General Surgery & Transplantation, Sheba Medical Center, (Head of Dept., Prof. E.T. Jacob). 1984-1985: Experimental research, Dept. Cell Biology, Sackler School of Medicine. (Supervisor, Prof. M. Aronson). 1985-1986: Chief resident, Dept. Urology, Sheba Medical Center (Head of Dept., Prof. M. Manny). 1986-1987: Rotating residency, Dept Obstetrics & Gynecology, Sheba Medical Center. (Head of Dept., Prof. S. Mashiach). Dec. 1987: Receipt of Specialization Certificate, no. 09588. 1981-1987: Tel-Aviv University, Sackler School of Medicine, Postgraduate Medical School, MSc in Urology. 1987-1989: Research fellow, Urology research laboratory, Mayo Clinic, Rochester, MN. (Supervisor, Prof. M.M. Lieber). 1987-1988: Course in Biostatistics. Rochester, MN, USA. 1988: Course in Endouroliogical Surgery. Minneapolis, MN, USA. 1989: Course in Prostate Ultrasound. Atlanta, GA, USA. 1989-1990: Clinical fellow, Urologic Service, Memorial Sloan-Kettering Cancer Center, New York, NY (Chief, Prof. W.R. Fair). 1990-1993: Senior Consultant, Dept. Urology, Sheba Medical Center. (Head of Dept. Prof. B. Goldwasser). Since 1993: Head Dept. Urology, Bnai Zion Medical Center, Haifa. Experimental therapeutic agents for superficial bladder cancer. Flow cytometeric nuclear DNA analysis of genitourinary malignancies. Morphometric characterization of genitourinary neoplasms. Development of surgical techniques and devices for the management of urinary incontinence. Noninvasive detection of bladder cancer by means of proteomic and metabolomic analysis. Improving drug delivery for treatment of superficial bladder cancer. Assessment the role of tissue adhesives in nephron sparing surgery. Functional preservation in nephron sparing surgical procedures. Ischemic damage to the kidney during nephron sparing surgery. 1991-2011: Member of the committee for examinations in urology, Israel Medical Association, Scientific council. Since 1991: Member of the national board of examiners in urology. Since 1992: Expert reviewer for Urology. Since 1993: Expert reviewer for International Journal of Cancer. 1994-2000: Member of the research committee, faculty of medicine, Technion. 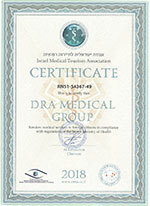 Since 1995: Member of the specialization committee, Israel Medical Association, scientific council. Since 1996: Expert reviewer for cancer. 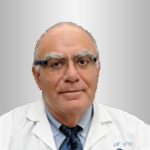 1996-2000: Member of the executive committee of the Israeli Urological Association. 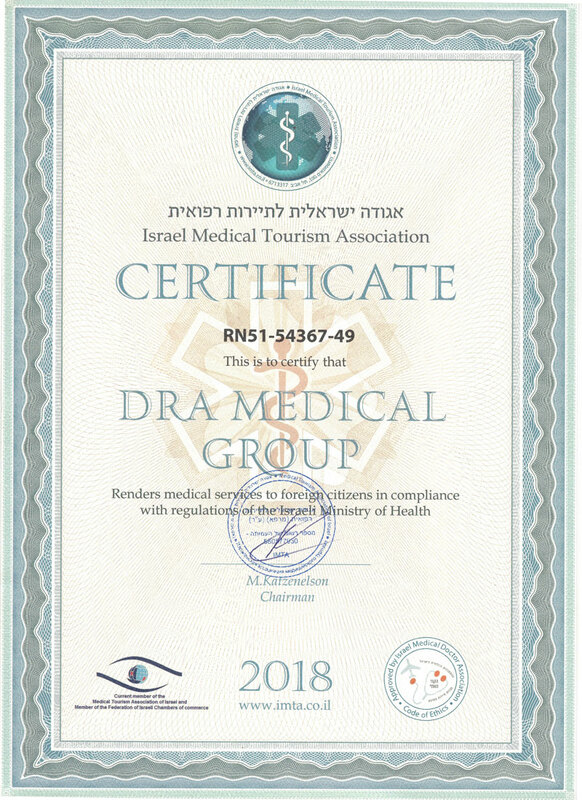 Since 2000: Member of the Urologic-Oncology committee of the Israel Cancer Association. Since 2004: Member of the editorial board of IMAJ. Since 2006: Expert reviewer Urologic Oncology. 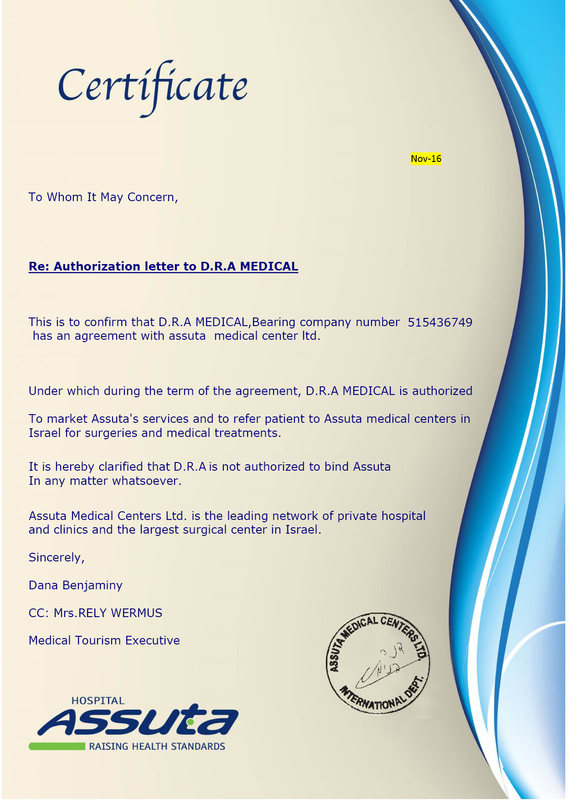 Since 2005: Expert reviewer for grant application to the Israeli Ministry of health. Since 2008: Member of cancer prevention committee, Israel Cancer Association. Since 2010: Expert reviewer for Scandinavian Journal of Urology & Nephrology. Since 2010: Member of the editorial board and reviewer WJUR. Nativ O.: Static Image Cytometry for Measurement of Nuclear DNA Content from Pre-Operative Prostate Needle Biopsy Specimens. AUA, New York, NY, 1990. Nativ O.: Premalignant Lesions of the Bladder: Diagnosis and Treatment. SFU. Nantes, France, 1991. Nativ O.: Nephron Sparing Surgery for Renal Cell Carcinoma. European School of Oncology, Jerusalem, Israel, 1997. Nativ O.: New Surgical Techniques for the Management of Female Incontinence. ICS. Yokohama, Japan, 1997. Nativ O.: Incisionless Transvaginal Bone Anchor Sling Procedure. Genoa, Italy, 1998. Nativ O.: Bone Anchor Male Sling for Post Prostatectomy Incontinence, Hamburg, Germany, 1999. Nativ O.: Co-Chairman Session on Basic Research for Urothelial Cancer, EAU, Paris, France, 2006. Schulman C., Kirkaly Z., Nativ O.: EAU Panel on Case Management in Kidney Cancer. Eilat, Israel, 2007. Nativ O.: The Advantages of Open Approach in Nephron Sparing Surgery. CURY , Barcelona, Spain, 2008. Nativ O.: The Case for Conservative Approach in the Management of BCG Failure Patients. CURY, Barcelona, Spain, 2008. Nativ O.: Update on Screeining and Early Detection of Prostate Cancer. Sanofi-Aventis Meeting, Kfar Blum, Israel, 2008. Nativ O.: What is Left for Open Nephrectomy. CURY, Lisbon Portugal, 2009. Nativ O.: The Advantages of Open Nephron Sparing Surgery. CURY, Lisbon Portugal, 2009. Nativ O.: Experience with Synergo Treatment in NMIBC and Conservative Approach for High Risk Bladder Cancer. Meeting of the German Urological Association, Giessen, Germany, 2010. Nativ O.: Current Treatment Options for Metastatic RCC: The Role of the Urologist. Israel Urological Association Meeting, Eilat, Israel, 2011. Nativ O.: The Role of Endocrine Treatment in Localized Prostate Cancer. Israel Urological Association Meeting, Eilat, Israel, 2011. Nativ O: Renal Surgery. International Robotic and Open Surgery Symposium, USC Institute of Urology, LA, USA, 2013. Nativ O: Predicting Progression of Bladder Urothelial Carcinoma using microRNA Expression. WCC, Nanjing, China, 2014. Neutrophil-to-lymphocyte ratio predicts progression and recurrence of non-muscle-invasive bladder cancer. Urinary NGAL and KIM-1: potential association with histopathologic features in patients with renal cell carcinoma. Predicting progression of bladder urothelial carcinoma using microRNA expression. Clinical significance of heparanase splice variant (t5) in renal cell carcinoma: evaluation by a novel t5-specific monoclonal antibody. Methotrexate induces germ cell apoptosis and impairs spermatogenesis in a rat. Safety and hemostatic efficacy of fibrin pad in partial nephrectomy: results of an open-label phase I and a randomized, standard-of-care-controlled phase I/II study. Urinary NGAL and KIM-1: biomarkers for assessment of acute ischemic kidney injury following nephron sparing surgery. 10-year single-center experience of combined intravesical chemohyperthermia for nonmuscle invasive bladder cancer. A new self-expanding, large-caliber ureteral stent: results of a multicenter experience. Degree and Predictors of Functional Loss of the Operated Kidney following Nephron-Sparing Surgery: Assessment by Quantitative SPECT of 99m Tc-Dimercaptosuccinic Acid Scintigraphy. Predictors and mechanisms of oncological failure following nephron-sparing surgery for renal cancer. The role of a combined regimen with intravesical chemotherapy and hyperthermia in the management of non-muscle-invasive bladder cancer: a systematic review. Surgical Reimplantation for the Correction of Vesicoureteral Reflux following Failed Endoscopic Injection. Post-transcriptional regulation of heparanase gene expression by a 3' AU-rich element. Intravesical mitomycin C combined with hyperthermia for patients with T1G3 transitional cell carcinoma of the bladder. Positive surgical margin appears to have negligible impact on survival of renal cell carcinomas treated by nephron-sparing surgery. An adjuvant autologous therapeutic vaccine (HSPPC-96; vitespen) versus observation alone for patients at high risk of recurrence after nephrectomy for renal cell carcinoma: a multicentre, open-label, randomised phase III trial. Detection of bladder cancer in human urine by metabolomic profiling using high performance liquid chromatography/mass spectrometry. MicroRNAs accurately identify cancer tissue origin. Papaverine hydrochloride for the treatment of renal colic: an old drug revisited. A prospective, randomized study. Diagnostic potential of virtual pneumoendoscopy of the urinary tract. Effect of allopurinol on germ cell apoptosis following testicular ischemia-reperfusion injury in a rat. Adjuvant mitotane in adrenocortical carcinoma. Functional significance of using tissue adhesive substance in nephron-sparing surgery: assessment by quantitative SPECT of 99m Tc-Dimercaptosuccinic acid scintigraphy. Renal artery occlusion during nephron-sparing surgery: retrospective review of 301 cases. EDTA-induced urothelial cell shedding for the treatment of superficial bladder cancer in the mouse. [Nutrition and pharmacological treatment for prevention of prostate cancer]. Effect of diclofenac on germ cell apoptosis following testicular ischemia-reperfusion injury in a rat.